Boigu is a large low lying island formed from alluvial mud deposited on decayed coral platforms by neighbouring PNG’s large river systems. 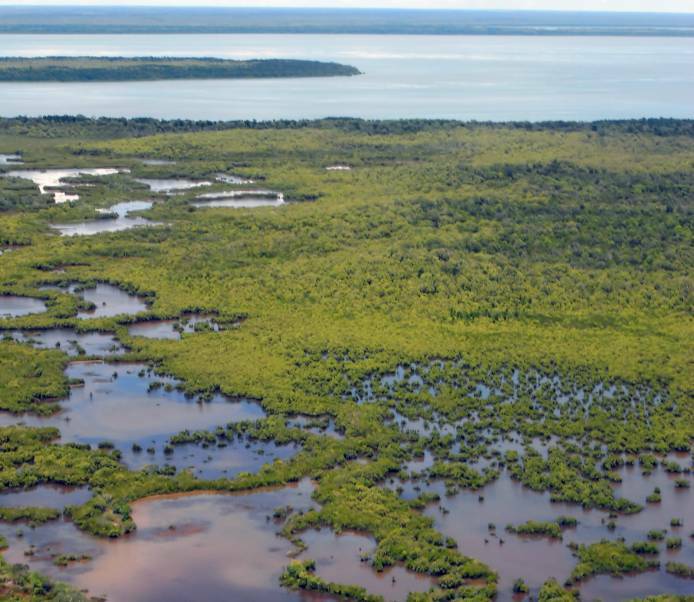 There is sparse vegetation except for mangrove swamps. The entire island is subject to flooding except the village which is build on the highest point. The island is also very susceptible to the predicted sea level rises from the greenhouse effect.